Charles Dickens, who often used the pseudonym Boz, was the most popular English novelist and short- story writer of all time. His novels reflect his own experiences as a poor child in London and Kent. Because his father was imprisoned for debts, Dickens was forced into work at the age of nine. Although he attended school for two years, he was mostly self-educated. His work is heavily influenced by the works of his favourite authors, Henry Fielding and Tobias Smollett. He also loved to read Gothic novels. Before becoming a writer himself, Dickens worked as a legal clerk, court reporter and parliamentary reporter. These positions honed his skills as a concise and descriptive narrator. With the success of Sketches by Boz, published in 1836, he married Catherine Hogarth. The couple stayed together for twenty-two years and had ten children. However, they eventually separated over Dickens' relationship with actress Ellen Ternan. Like Sketches by Boz, Dickens continued to write a monthly series of comic vignettes with the Pickwick Papers. Critics feel that, because the works were published as a series, Dickens' work is less coherent than it might have been if he had been allowed to write his texts as more unifed entities. With Dombey and Son and Oliver Twist, Dickens' style began to move away from comedy toward darker themes. He was one of the first to experiment with the use of symbolism to heighten narrative (for example, foggy streets were used to foreshadow an ominous event). The most emphasis, however, has been placed on the works that Dickens wrote in the late period, such as Hard Times in 1854, Tale of Two Cities in 1859, and Great Expectations in 1861. 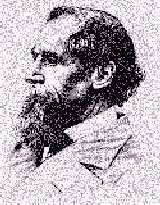 At this time, Dickens' had developed his own unique style and was a master at depicting the human condition. During his life, Dickens remained involved in humanitarian causes. He was involved in many charities and advocated the abolition of slavery. A stroke caused his death in 1870 and he was buried at Westminster Abbey.